Once there is some data in the table, it may be required to modify the data. To do so, the SQL UPDATE command can be used. It changes the records in tables. 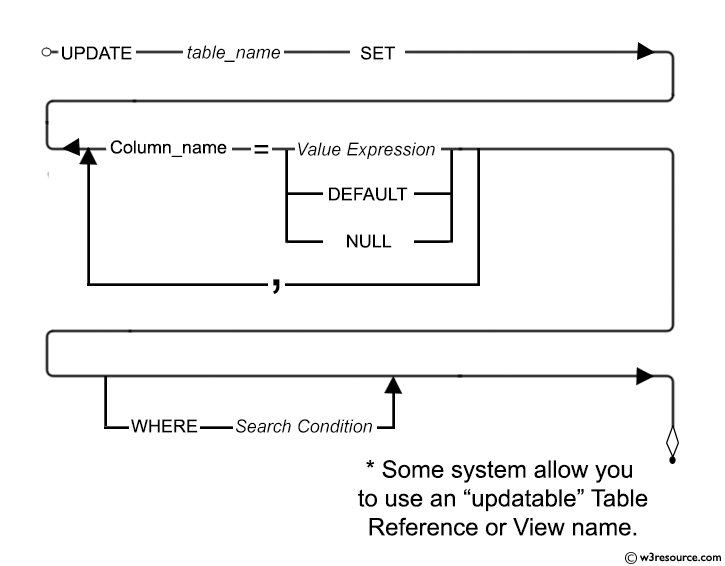 The SQL UPDATE command changes the data which already exists in the table. Usually, it is needed to make a conditional UPDATE in order to specify which row(s) are going to be updated. The WHERE clause is used to make the update restricted and the updating can happen only on the specified rows. Without using any WHERE clause (or without making any restriction) the SQL UPDATE command can change all the records for the specific columns of a table. table_name Name of the table to be updated. column1,column2 Name of the columns of the table. condition Condition(s) using various functions and operators. Data for a specific column(s) can be changed with the SQL UPDATE statement.